There have been many life changes in the last two months. Perhaps the most monumental of which is that I finally finished the Norman Mailer book that I’ve been gumming my way through since February. (Give me a break, it’s 1,300 pages about the Bay of Pigs, ok?) He has some great lines in it, of course. 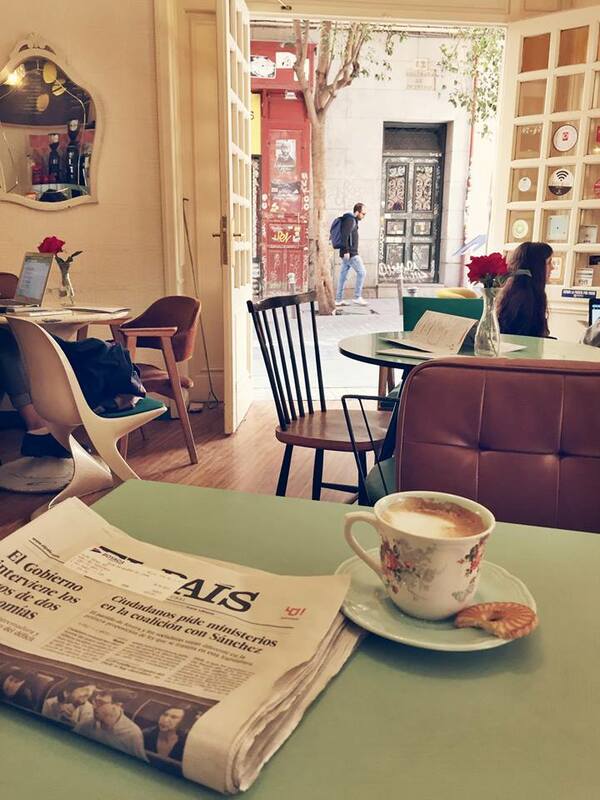 I read one of them while I was sitting at the cafe table pictured here, in Madrid, Spain. A CIA guy was about to sit down to an important but scary meet-and-greet and said he had a case of “the tender butterflies” – happy anticipation mixed with a tinge of dread. I love that. Anyway, I’ve been saying for years now that I’m going to be writing more for you here and I think it’s time to admit that I won’t be – at least not regularly – because of all these life changes (new travels, new job, new apartment, newfound interest in spring onions). And because, of course, work continues on Wondermelt. I’m about to turn the corner into year three, but the good news is that it keeps getting better. I can hardly be discouraged when I know that the book that will be picked up in future is stronger than the book that could have been picked up in past. That’s also easy to say now that rewrites are pretty much finished. I think overall, I’m truly at the pitching stage. I have to tell you. THAT gives me a case of the tender butterflies. So, more to come here, at some point, and thanks in the meantime for the support. Previous Article Previous Article: New writing!